Shenandoah National Park extends along the Blue Ridge Mountains in the U.S. state of Virginia. The Skyline Drive runs its length, and a vast network of trails includes a section of the long-distance Appalachian Trail. Mostly forested, the park features wetlands, waterfalls and rocky peaks. Shenandoah is home to many bird species, plus deer, squirrels and the elusive black bear. 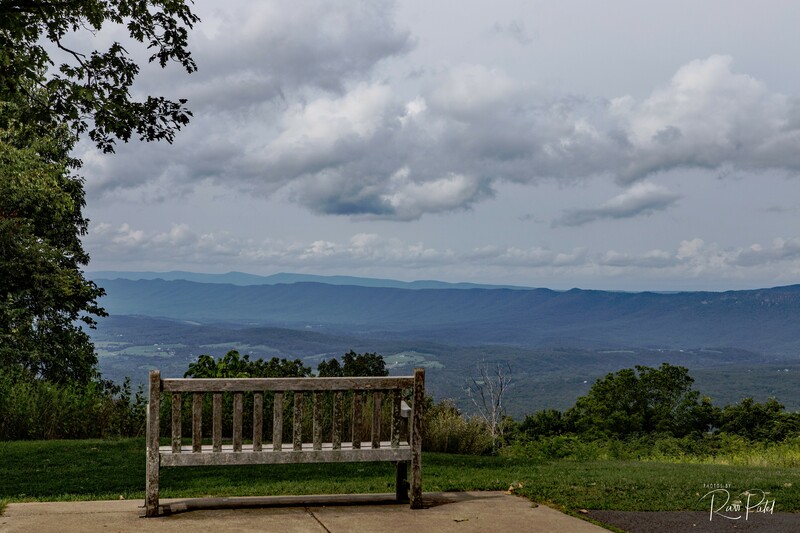 This entry was posted in Clouds, National Parks, Photography, Travel and tagged Blue Ridge, Blue Ridge Mountains, National Park, Shenandoah, Virginia. Bookmark the permalink. That bench is very inviting, the view, spectacular!